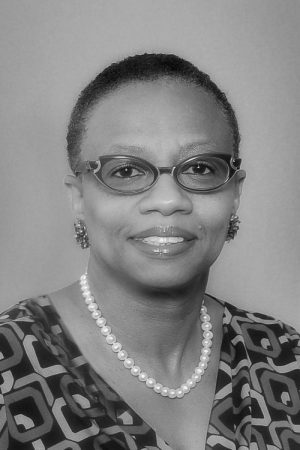 Brenda M. Breaux is a local industry leader in the community development field, with a concentration in affordable housing, commercial revitalization, land stewardship and green infrastructure development. She personifies leadership, strong business acumen, passion and commitment to excellence. As Executive Director for the New Orleans Redevelopment Authority (NORA), she is responsible for providing strategic leadership, stability and growth opportunities for the agency focusing on catalytic development. Previously, Ms. Breaux served as the Chief Operating Officer of NORA for four years where she was responsible for overseeing and managing Land Stewardship, Real Estate Development, Land Management, Human Resources and the day to day operations of the agency. In this position, she directed legal strategies, and participated in dispute resolutions. Ms. Breaux served as Senior Chief Deputy City Attorney for the City of New Orleans responsible for housing, real estate development, finance, the Mayor’s Blight Initiative and project liaison for the downtown medical complex and other disaster financed transactions. She also served as the Deputy Executive Director for the Housing Authority of New Orleans and has managed large scale affordable housing and complex real estate development projects in the region. Ms. Breaux earned her Bachelor’s Degree in Political Science from Spelman College, her Juris Doctor from Loyola University of New Orleans College of Law and is a licensed attorney. She serves as Vice-President for HousingNOLA and Policy Committee Co-Chair for the City of New Orleans 10-year housing plan.